The Food Life Recipes, resources and food inspiration from people and places in Kitsap County. By Kitsap Sun Web Editor Angela Dice. Bremerton will have a Sunday farmers market on the boardwalk near the fairy ferry terminal starting July 24. 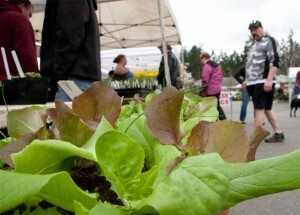 The Bremerton Farmers Market association announced the extra market Thursday. Unlike the second market two years ago created after a market leadership disagreement, this new market is born of an attempt to liven up the city on Sundays and will be run by the same organization that runs the Thursday market at Evergreen Park. Bremerton farmers market organizers were approached by city council members after Bremerton and Port Orchard agreed to run foot ferries on Sundays, said market manager Julia Zander. Bremerton’s Thursday market has been growing with more vendors making more than last year and greater attendance (particularly on sunny days), Zander said. Market leaders also have been working with the port and business associations. Bremerton councilman Roy Runyon offered to pay half the market’s insurance fee out of his own pocket, she said. The market association is working on securing funding for the second half. The market plans to run from 11 a.m. to 3 p.m., and will be the only formal farmers market on Sundays in Kitsap County. The market’s last day will be Sept. 25. It seems all manner of pretty produce and other things have begun to appear at farmers markets. 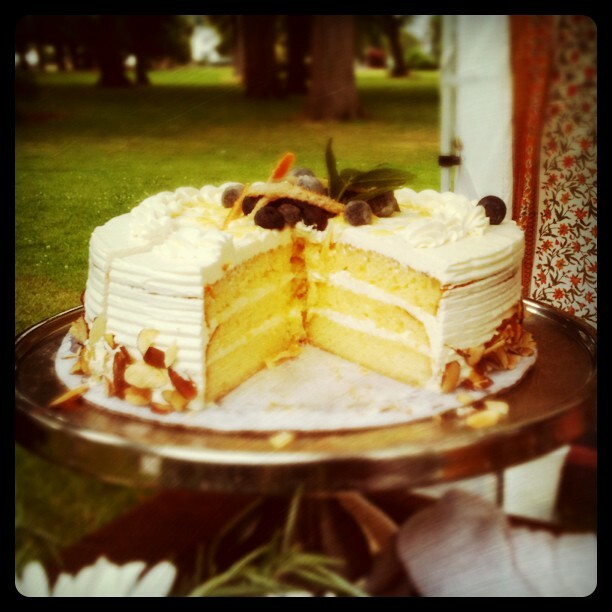 I snapped a little cell phone shot after seeing such a pretty cake from Bon Bon Bakery at the Bremerton market on Thursday, and I realize that I can’t be the only one so visually stimulated by market scenes. I’d love to see what others have seen at the markets or will see this weekend (hint, hint). I’ll put some of the best photos in an upcoming blog post to share with others and on the farmers market map. E-mail them to me at angela@angeladice.com. Poulsbo market goers will be able to buy local goods through December. The Poulsbo Farmers Market association announced last week that they would remain open through Dec. 17, and likely will open earlier next year, said market manager Brian Simmons. The market this year already had opened earlier than in years past on April 9. “We’ve been talking about it for quite a while now,” Simmons said. They polled farmers and other vendors and have discussed a year-round farmers market with the Kitsap Community and Agriculture Alliance. The market also has been in talks with the city and the Port of Poulsbo to gain support for a covered, permanent location for a year-round farmers market in Poulsbo. Thus far, no decisions have been made on that front. “We can’t pay retail rent … we need a special situation,” Simmons said. Which can be a tough sell in this economy. But Simmons said some ideas being floated include a structure that could be used as shopper-friendly covered parking when the market isn’t open. For now, the market is focused on being open for 10 months out of the year, Simmons said. This autumn, the market will remain at the spot at Seventh Avenue and Iverson Street. Market organizers are discussing ways to modify the site to make shopping easier on cold and rainy days, perhaps by clustering tents or offering a heated tent to offer shoppers relief. The late market is likely to be smaller, Simmons said, and it may open later as daylight hours wane. With an early heads-up, participating farmers may have time to sow cool-weather crops such as spinach, kales and chard, onions potatoes and winter squashes. Since fall is slaughter season, the market also hopes to draw meat vendors. And crafters and people who make preserved goods also will have a chance to sell wares as the holiday shopping season kicks into gear. In the news of future events, Bremerton Summer Brewfest announced its lineup. The Kitsap Food Co-op, which has been gathering members and searching for a home has a “big announcement” coming on Sunday. Poulsbo Farmers market announced that it would extend its season through Dec. 17. I’ll try to get more on that soon. Kitsap Sun’s food critic Bernard Jacobson this week offered his review of Bay Street Bistro in Port Orchard. He gave it a 9/10 for both food and service. The Accidental Hedonist blog this week chimed in with some thoughts on locavorism, and why so much focus has been put on food. Also this week, the Kitsap Cuisine blogger also has a post on local food, imploring people to get more serious about food in Kitsap. On the Small Potatoes blog, Anne cooked up some savory veggie fritters/pancakes for what looks to be a simple weeknight meal. At the Fat of the Land blog, Langdon Cook offers up a suggestion for preparing the influx of salmon at local markets as well as a use for morels in a recipe titled Salmon with Pinot Noir Sauce and Morels. For a dish for larger gatherings, Orangette has a recipe for Deviled Eggs with Basil Ailoli and Capers. This week, the big food news locally seems to be that some grocery store opened in Silverdale Friday. Trader something. It gave even Seattle-focused Bainbridge Islanders something to talk about regarding the main peninsula besides Costco. Elsewhere in the local food world, Bainbridge farmers market heralded the arrival of the season’s first, fresh island strawberries! The market starts at 9 a.m. Saturday, and in years past, those berries cleared out fast. At the Poulsbo market Saturday, “Bug Chef” (yep, it’s what you think it is) David George Gordon will be signing his new book “The Secret World of Slugs and Snails: Life in the Very Slow Lane” at 10 a.m. and 11:30 a.m.
For those looking to venture outside Kitsap for Excitement this weekend (or looking for somewhere to take dad), Kenmore is hosting the Washington Brewers Festival, which features 60 brewers purring 200 beers Saturday and Sunday. If beer isn’t your thing, Seattle Center hosts a celebration of a different brew: coffee. The Northwest Coffee Festival runs both Saturday and Sunday with taste tests, slow-pour coffee bars and other demonstrations. The big talk last week was the ode to Seattle food written by New York Times’ Frank Bruni. Know other must-share blog posts and news? Please comment and link away! Could Kitsap have a year-round farmers market? Kitsap farmers are in nascent discussions about a year-round farmers market in the county. At a Monday night meeting of the Kitsap Community and Agriculture Alliance, Nikki Johanson of Pheasant Field Farms kicked off a discussion among the roughly 30 attendees. As farmers market seasons close up for the witness, she said, she’s increasingly heard vendors and customers wonder aloud where to go next for their local foods. “People want local food … and they want it more than x-amount of months,” she said. KCAA President Marilyn Holt said that additionally, for a commercial farmer to make it, the farm needs to be selling for 48 weeks out of the year. The farmers who don’t likely have to find additional sources of income. Currently, most markets close in October. Poulsbo has a one-weekend Thanksgiving market and Bainbridge Island reopens its market in a new location in mid- to late-November and stays open for another month. 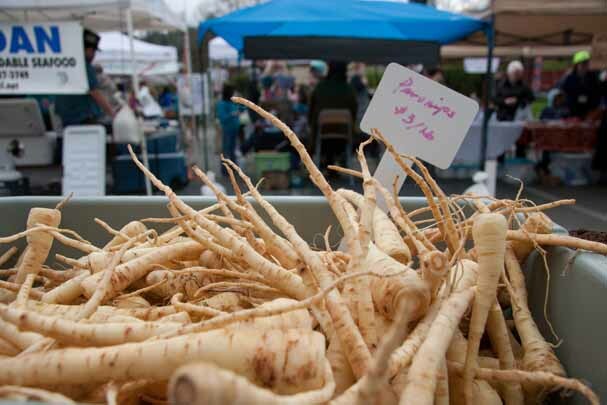 Year-round farmers markets exist elsewhere in the Puget Sound region. There is, of course, Pike Place, but also Ballard, University District, West Seattle, Port Angeles and San Juan Island. In downtown Everett, a developer plans to build a 60,000 square-foot agriculture center to house a year-round farmers market, and will include a commercial kitchen and processing facility The facility will anchor a 180-unit housing project. A nonprofit group of farmers will operate the market, which developers hope to have open for the 2012 season. Some markets like Port Townend’s and Olympia’s are open until Christmas, which some at the meeting suggested may be a better option for Kitsap. And what’s sold at these markets isn’t just soaps and jams, though the producing of the latter has recently been made a little easier with the passage of a cottage food bill in Washington . The winter offerings are, of course, not nearly as abundant as what’s offered in the summer, but farmers are able to bring in squashes and root crops and dried fruits and vegetables. And let’s not forget that animals are raised on farms, too. One farmer said she saw plenty of poultry at West Seattle’s market. For the same to happen in Kitsap, though, farmers would likely have to find or create a facility (possibly a mobile one) to process poultry. Johanson said that additionally, she’s had success with hoop houses, which could allow her to have marketable produce in February and March. Questions such as: Where would the market go? Would there be a single space or would it be better to extend the seasons of several markets? Would the market(s) be truly year-round or is it better to lengthen the season to, say, Christmas? Would there be enough time after planning to plant crops to harvest this winter? Can you draw enough customers? Would there be a high enough proportion of farmers to meet Washington State Farmers Market Association guidelines (and thus gain the benefits that goes with being a part of the association, such as insurance)? And, importantly, would enough farmers be willing to extend what can be an exhausting work year? That last question is one group members hope to address first. They’ve asked farmers market managers — Bremerton and Poulsbo markets were represented at the meeting — to poll their vendors and will go from there. And until I hear those results, I’m going to do a little polling of my own and, as always, please comment away. Just a short note for all of you local food lovers out there: If you haven’t caught it already, Diane Fish over at the Kitsap Farm to Fork blog last week started a series taking a historical look at farming in Kitsap. She’s pulled together some great information and photos of the area’s agrarian roots, including a look at how early settlers blasted stumps away to clear the timber land; a mention of early settlers and farmers; Bainbridge Island fruit growers; the first co-ops; and she found Kitsap’s first farmers market, which opened on May 20, 1922. Legislators Friday passed a cottage food bill originally co-sponsored by Sen. Phil Rockefeller, D-Bainbridge Island. The law is similar to those in 17 other states that ease restrictions on small-scale food makers. 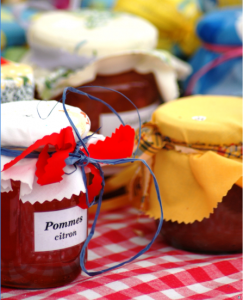 It applies to people who make less than $15,000 (more in later years, based on inflation) selling “cottage foods” such as baked goods, jams, jellies and other preserves, and certain types of fruit butters. The food can’t contain meat and cannot require refrigeration. Producers must pay a $75 inspection fee (their kitchen gets an initial then at least annual inspection), get food handlers’ and other permits. When the bill was first introduced, Bill Marler of Bainbridge Island, an attorney who specializes in foodborne illnesses listed short pros and cons in a blog post, the con, of course, being that people could get sick from food made in a home kitchen. The final bill passed with only one vote of dissent in the Senate and has been sent to the Governor’s Office. This weekend, foodies can choose from wine tastings and tours to the expanding openings of farmers markets. Beer: Tonight (OK, technically not the weekend), Poulsbo will welcome it’s newest brewery, Sound Brewery. There will be a ribbon cutting at 5 p.m. and the taps will pour until 9 p.m. I, unfortunately, will miss the grand opening, so I expect reports, people! After the grand opening, it will be open from 2 p.m. until 9 p.m. on Friday and Saturday (when I hope to check it out, making it a weekend event for me). They’ll have six beers on tap at $4 a glass. Farmers Markets: On Friday (again, not the weekend, but close enough) Olalla Valley Farmers Market makes its debut at 1 p.m. It joins Poulsbo and Bainbridge markets, both on Saturday, on the “open” list. Wine and Cheese: From 11 a.m. to 5 p.m. on Saturday and Sunday, Olympic Peninsula wineries will host their third annual Northwest wine and cheese tour. Area wines and ciders are paired with cheeses from Northwest creameries, which include Port Townsend’s Mt. Townsend Creamery. The tour is self-guided among the associations eight wineries. Tickets are $25 if purchased in advance online or you can pay a $5 tasting fee at each winery. Bainbridge wine weekend: Bainbridge Island’s seven wineries will open their doors again from noon to 5 p.m. Saturday and Sunday for their monthly tasting event. Tasting fees run from free to several dollars. Information on the wineries is available at bainbridgewineries.com. You can expect to see representatives from both The Food Life and Cheers to You blogs there. Weather predictions through the week seemed to bode ill for the opening of Kitsap markets (Poulsbo and Bainbridge) on Saturday. But on the actual opening day itself, gray steeled the sky, but luck held the rain at bay. 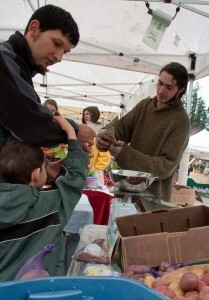 Caleb Heinig of Colinwood Farm of Port Townsend sells greens to a customer during openign day at Poulsbo Farmers Market. And out in Poulsbo, 39 vendors were had tents out and ready for the dozens who still were coming through the market when I arrived around noon. I hadn’t expected to see much so early, especially considering our soggy start to spring, but some spring greens and many vegetable starts and grow-your-own salad bowls were out. At least one farm offered some of the last of its potato stores. Perennial Vintners had offerings of their newly bottled Frambelle dessert wine, made from Suyematsu Farms raspberries as well as its regular selection of wines. They also had something new to me called verjus, which is non-alcoholic and made from pressing unripe grapes. Cooks use it as a sour component in cooking, particularly when they don’t want the flavor to compete with he wine being served with the meal, as a lemon or vinegar can. Ah the things you learn by talking to people at the market! I look forward to hearing the stories of the new farmers and vendors at local markets. I’ve also been talked into soon trying the morning offerings of Swedish pancakes, made with an authentic — and secret — family recipe. The season, it seems, is off to a good start. Now lets all hope for sunny days ahead and good harvests. Help The Victims of the 8.9 Earthquake in Japan by Spreading Awareness and Aid. Visit http://goo.gl/wjZQz to donate. The Food Life covers people, place and events involved in the food community on the Kitsap Peninsula and surrounding areas. Written by Angela Dice. You can contact me at angela [at] angeladice.com.